Home Main Video News How to Cheat in JumpJackpot Arcade Game. 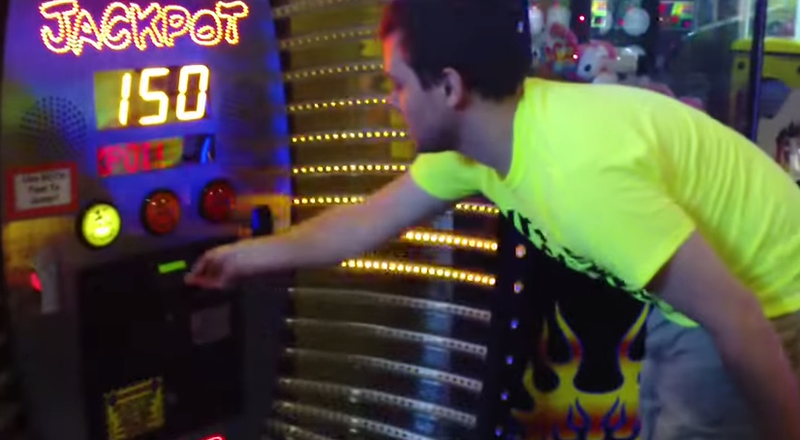 How to Cheat in JumpJackpot Arcade Game. BiggJern: People see stuff like this and say it's cheating, but I say, "The companies rig these machines to be unfair, so why not be unfair, too? "Troy Moppin III: Another way is to put one foot on the black pad, and stand on the silver edge. You simply lift your foot and step back downliveitupbabexoxo: Good idea! :)ethan giberson: did you get that from matt3756 or do you not know him. he is a YouTuber that does allot of arcade games.BeastlyNinja: They fixed it where it says "Nuh uh uh" when I tried to do it.